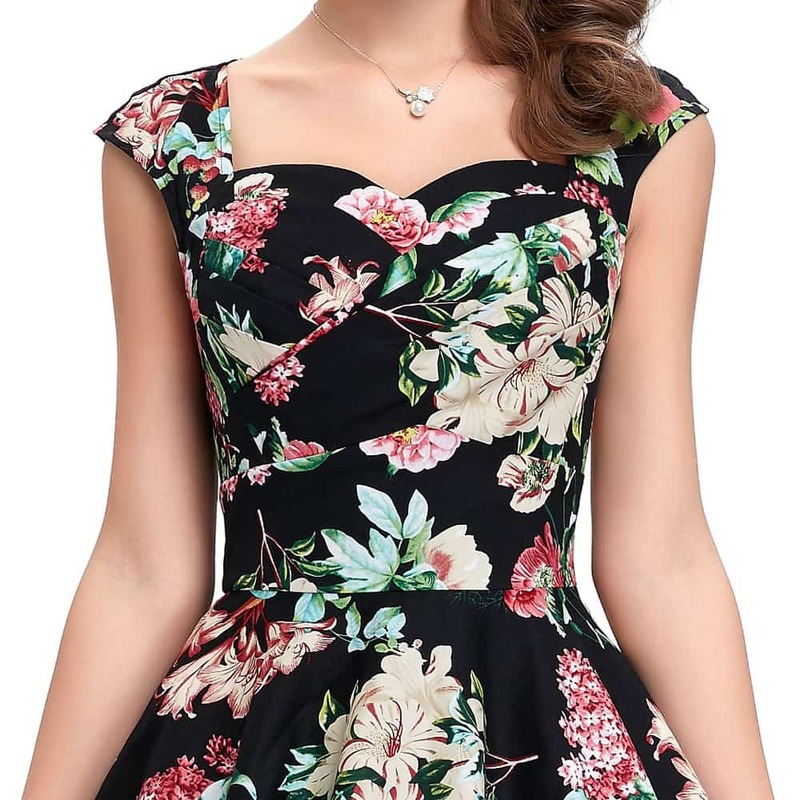 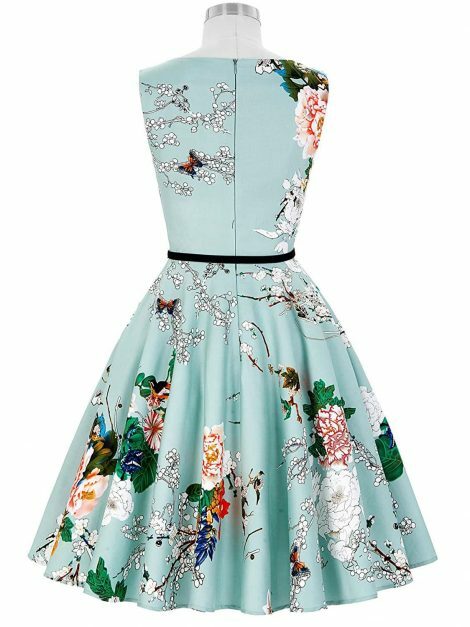 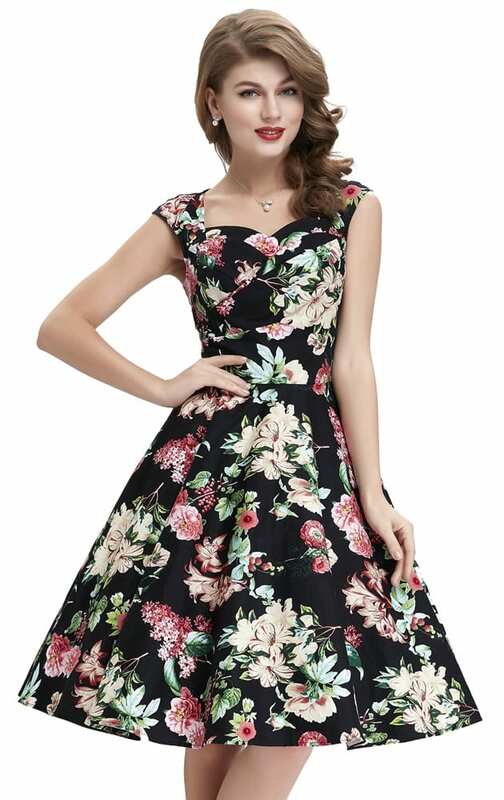 Look like a picture perfect 1950s gal in this swing dress with a floral pattern and sweetheart neckline. 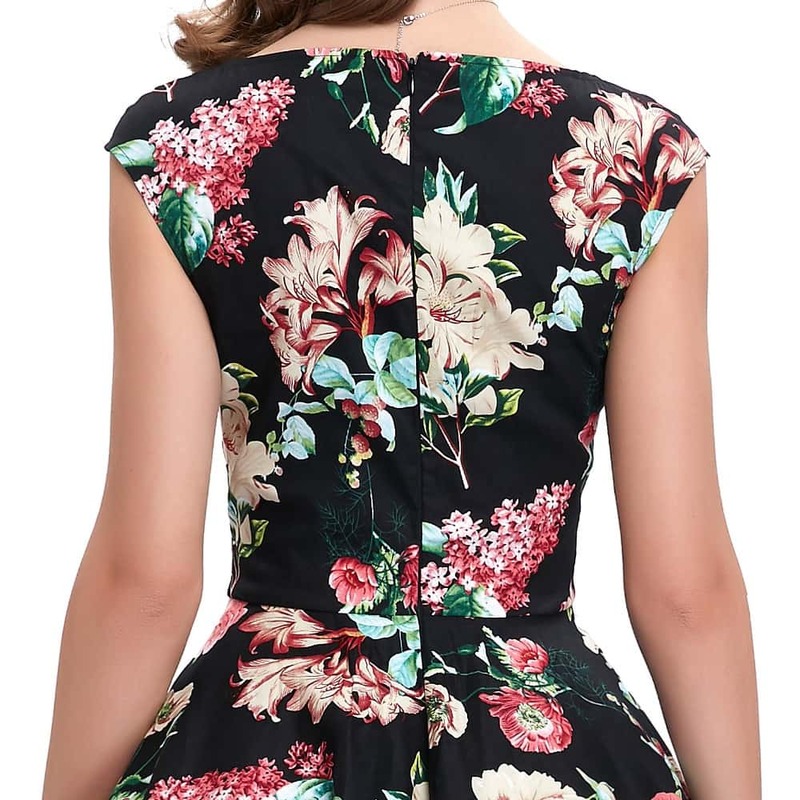 SIZING: Please don’t rely on your usual size and use the chart below. 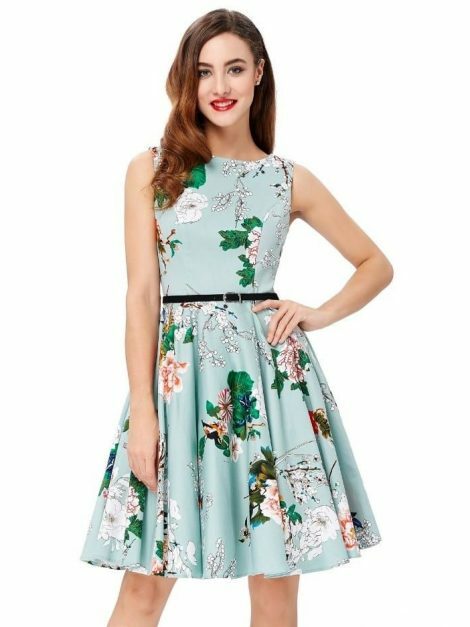 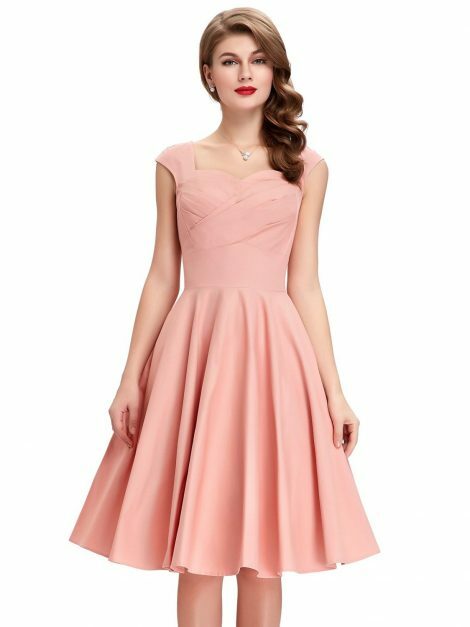 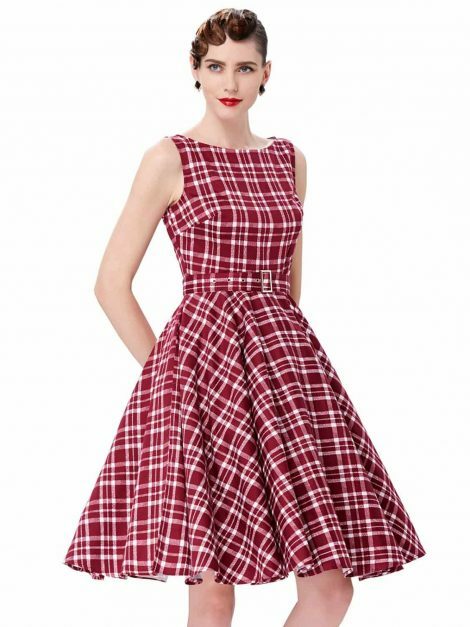 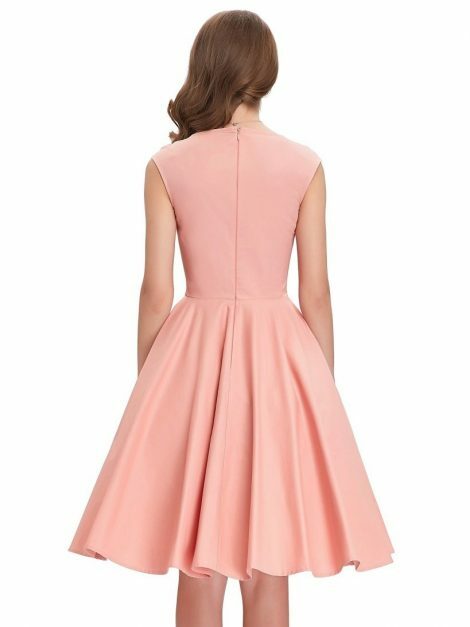 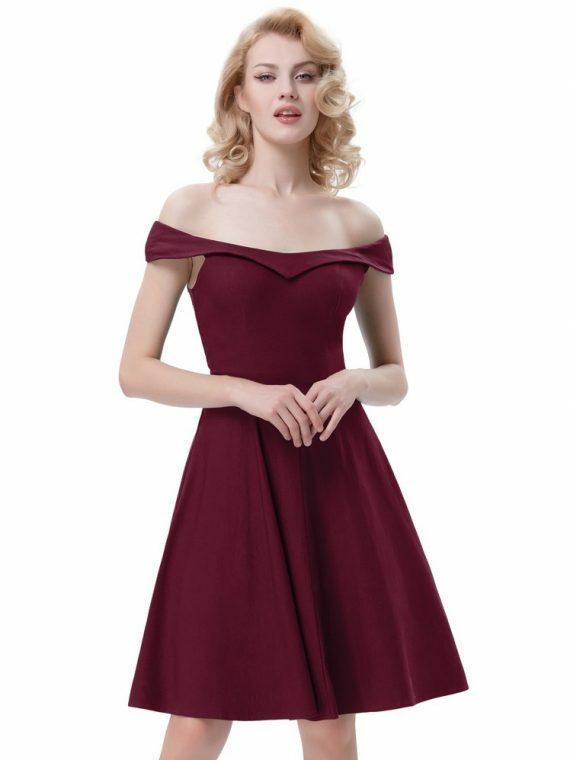 This dress does tend to run a little large so if your measurements fall in between two sizes or if you prefer a more fitted look, please choose the smaller size.